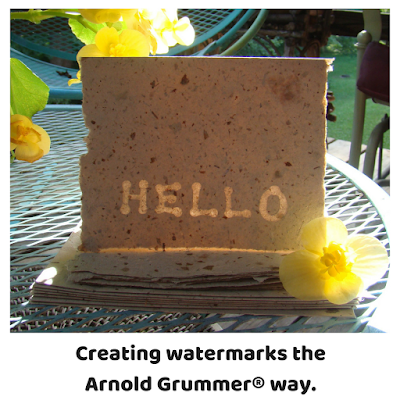 Welcome to the first ever Earth Day blog hop with the Arnold Grummer Design Team. We are excited to be participating along with other awesome organizations like the Earthday Network in bringing focus to an annual event that has become a week long celebration on "green" topics. And everyone knows that the Arnold Grummer organization is all about being green and the importance of recycling to create beautiful paper. Thanks for the chance to win! What a great hop! This is so fun! We are really excited to be sharing with Arnold Grummer's for the next two weeks. Thanks so much to your team for sharing with our products!! Beautiful projects!! I've always wanted to learn to make my own paper. These are all so wonderful. Very inspired!! Wonderful art projects! Love the homemade paper. 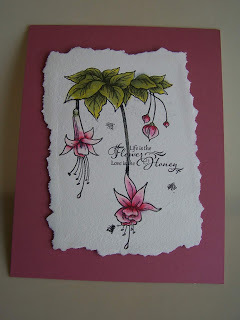 from my card making. thanks for the offer. What a great way to use up all of my books of scrap paper! Can't wait to try this out! Thanks for all the inspiration for paper making. 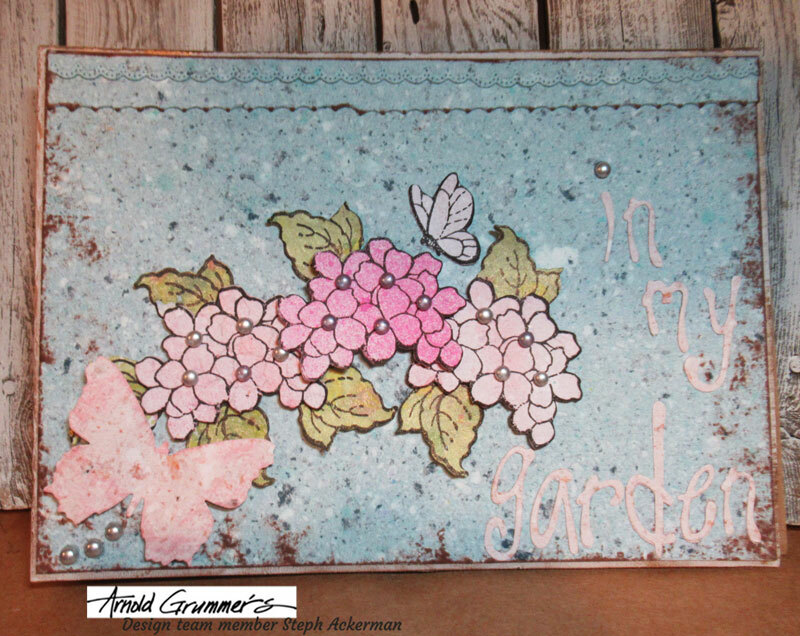 Always good to reuse and recycle and these projects show how beautiful that can be ! Wonderful projects and fun hop!! I am inspired. 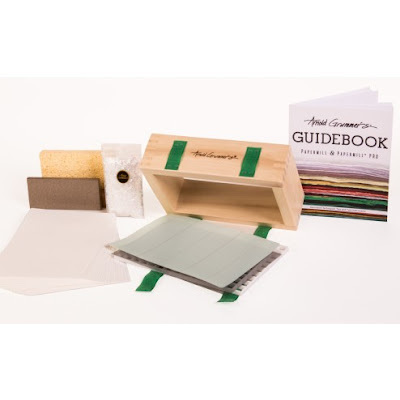 Thank you for the chance to win the paper-making kit. I have long wished to try making paper. Everyone that used your papers enjoyed using them. All the projects were great so its my turn to create something pretty. 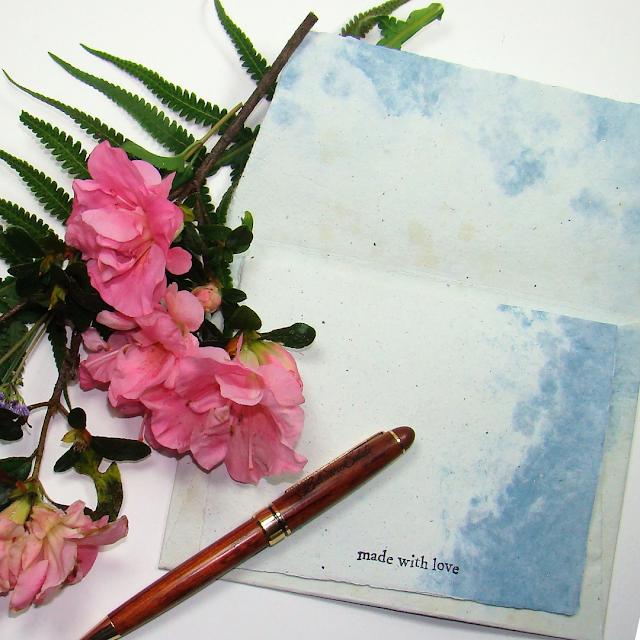 I'm so happy to see an Earth Day Blog Hop! I LOVE all the beautiful creations, and I would LOVE an opportunity to make my own papers! How cool is that! Thanks for an awesome idea! Happy Earth Day! 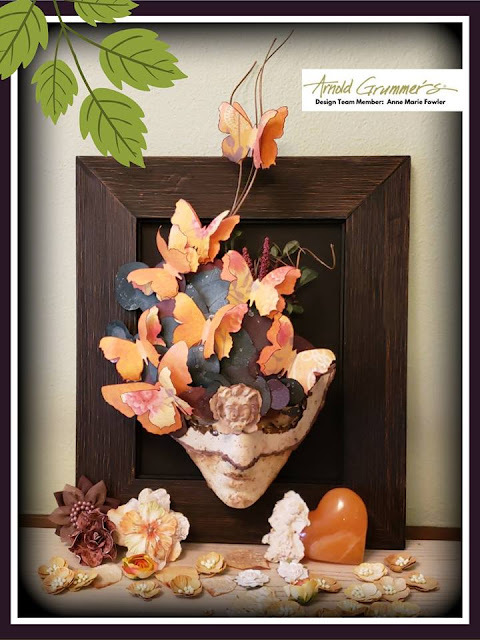 Wonderful variety of projects with handmade paper. I love the idea of making my own paper. We did that in girl scouts many moons ago. What a wonderful blog hop. Love the idea of trying to make my own paper. Thanks for the chance to win. I live in the US. This looks like so much fun and to be able to use up scraps is great. Recycling is a great thing. This looks like so so much fun and to be able to use up scraps is great. Recycling is a great thing. Always glad to get great new ideas! Now that my papermaking materials are back from display in our library, my hands are itching to play with pulp! Nothing like handmade paper to make handmade cards!